The following examples of greenhouses demonstrate a number of principles outlined in this web site. 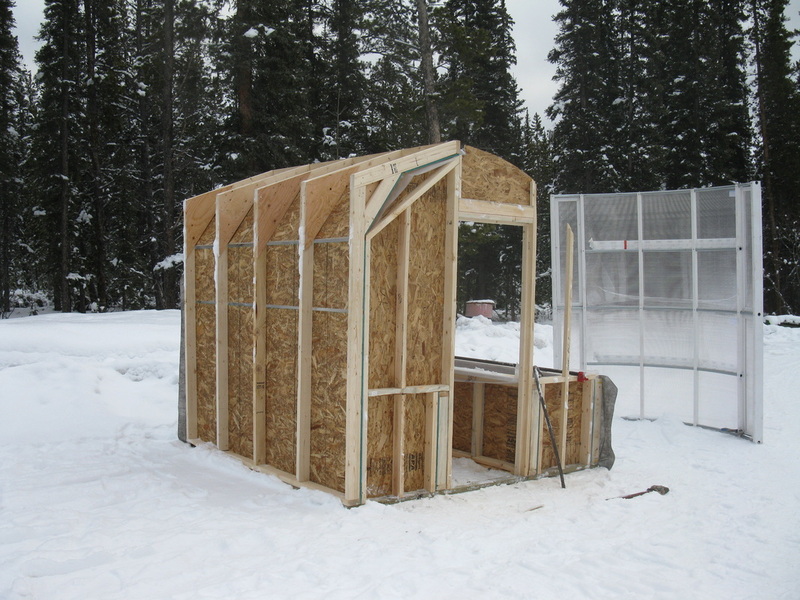 I make passive solar greenhouses kits that are designed to work well in cold climates. These greenhouses incorporate the principles outlined in this website. 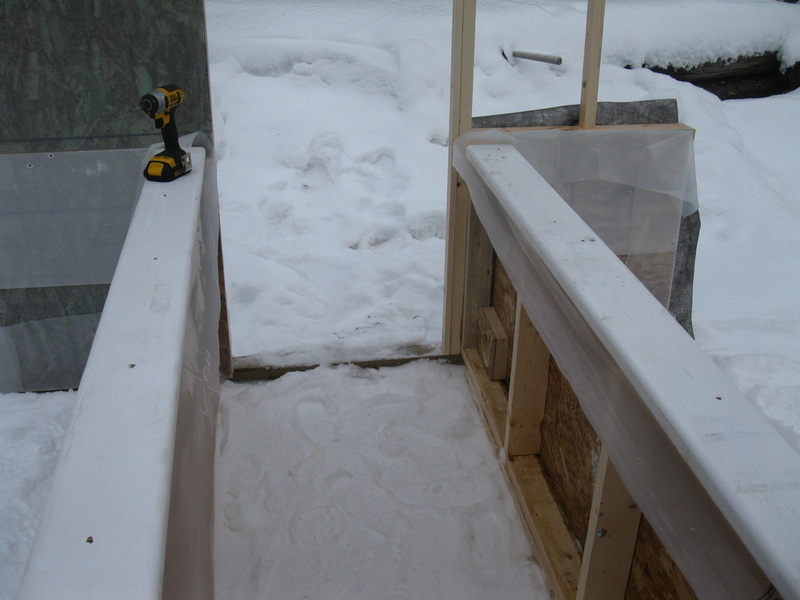 They are insulated on the north wall, have polycarbonate glazing on the south, west and east walls. The bottom half of the beds are filled with rocks and have perforated pipes that move air across the rocks. During the day, the warm air from the greenhouse is moved across the rocks. This heats the cool rocks and cools the air. During the night, cooler air moves across the now warm rocks, heating the air that vents into the greenhouse. During warm days, vents at the top and bottom of the south glazing open by automatic vent openers that open by heat. 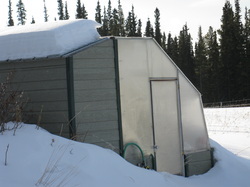 Insulated walls and doors help keep the heat in the greenhouse. These greenhouses extend the growing season two and a half to three months at an operating cost of approximately six dollars. These kits are available in two sizes, 8x8 and 8x16 feet. Showing the seven parts of the greenhouse kit. The glazing ready to install. 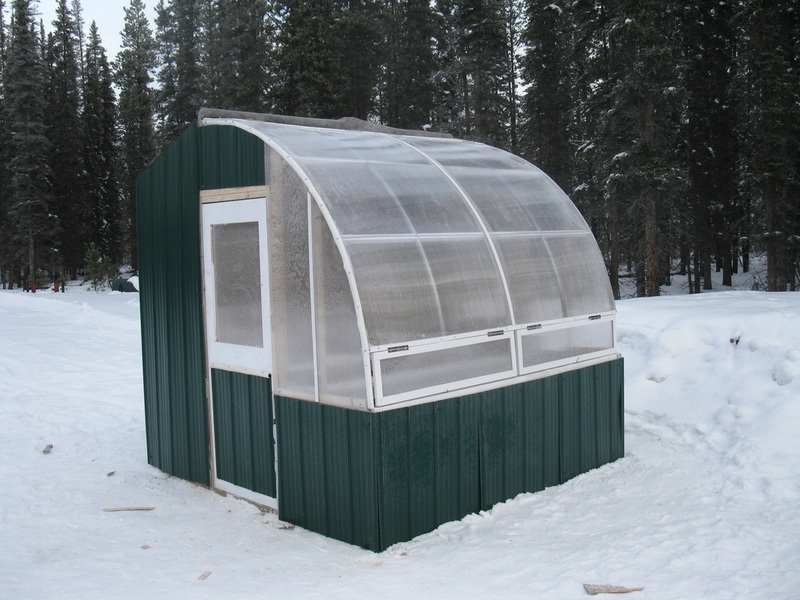 This is an example of the completed greenhouse kit with metal siding. Solar Growing kits can be ordered from Bob Sharp. Call 867 668 4965 to place an order. Deposit is required. Metal siding additional cost and needs to be ordered two weeks before delivery. Many colours to choose from. The Solar greenhouse. 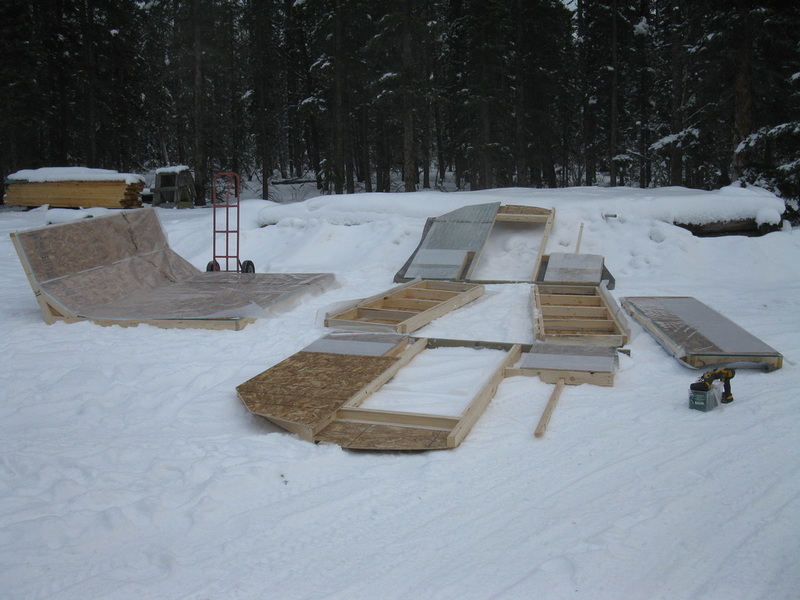 The picture to the left show a greenhouse that was constructed from 2x4's, OSB sheeting, recycled coroplast, a recovered portable garage that had collapsed under snow, polycarbonate glazing, vent openers and a heat sink system that heats the beds. The beds are made from 2x6 spruce. This greenhouse extends the growing season by more than three months and cost less than $10 a year in heating costs. 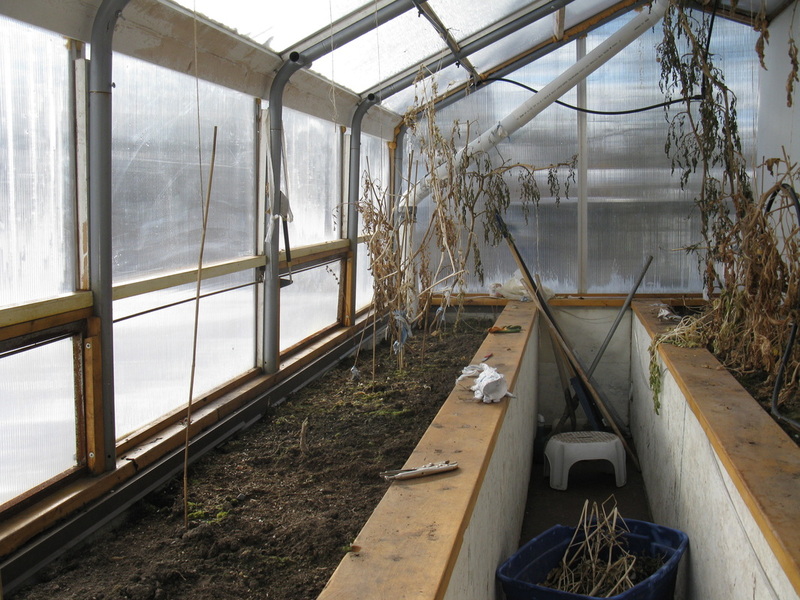 Net construction cost for this 200 square foot greenhouse was about $800. Most of this for the polycarbonate glazing. The Small Solar greenhouse. 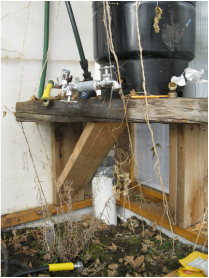 The picture to the left shows a greenhouse that was constructed from 1x1 welded steel square tubing, OSB sheeting, recycled coroplast, polycarbonate glazing, vent openers and a heat sink system that heats the beds. This greenhouse extends the growing season by more than three months and costs less than $6 a year to heat. Net construction cost was about $700. Most of this expense was on the concrete used for the beds and for the polycarbonate glazing. Conventional design converting two raised beds. 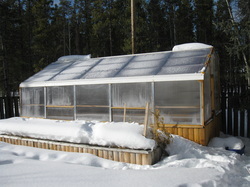 This picture shows a winter scene of two raised beds that have been converted into a conventional greenhouse. 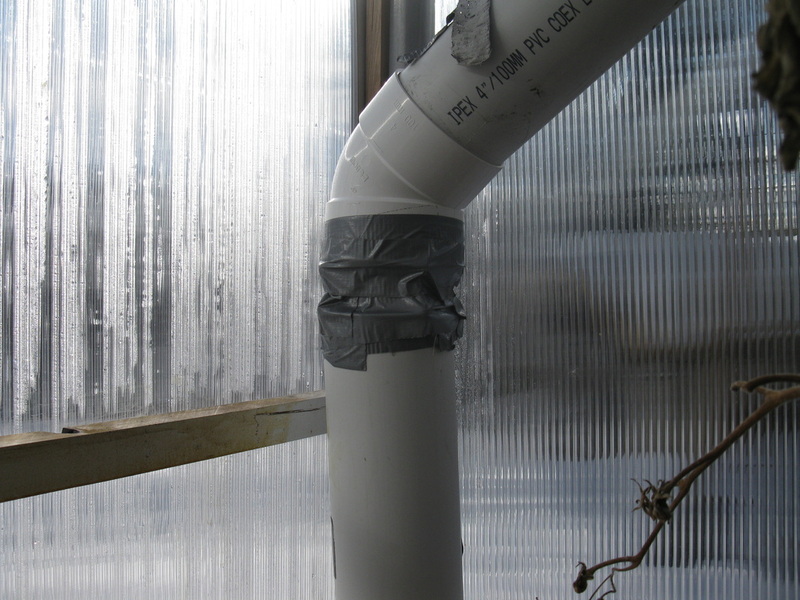 The frame, made from welded conduit, is covered with a greenhouse plastic with an embedded nylon fabric. This greenhouse extends the growing season by more than two months and cost less than $3 to heat. Net construction cost was about $200. Most of this was for the conduit and the poly glazing.